Greg was a new client of mine this year. He should not have needed to come in but he did. In 2002, he had made a perfectly fine trust-based estate plan with another local attorney. It had a pour-over will, a power of attorney, and his attorney had retitled his home in his name as trustee of his trust. Greg had not followed his lawyer’s instructions about making copies of his documents for his successor trustees, agents and executors. And, he had lost his original documents. He called up his old lawyer and found that the phone number was no longer in service. He asked around with a few of his friends who had gone to the same lawyer. They told him that the lawyer had retired and moved out of the country. But they weren’t worried because they had their original documents plus they had made back-up copies and given them to their trustees. What were we to do? Greg’s house was titled in his name as trustee of his trust, and a deed showing that was on record with the county recorder. But because Greg had lost his documents and had never made copies, he couldn’t even remember who he was leaving his estate to! And, without any documents, his estate would have had to go through probate court after his death anyway. And, by law, because we had no document stating otherwise, his estate would have gone to his next of kin, two brothers he didn’t even like. Fortunately, Greg was alive and still had mental capacity when he realized he was missing his documents. I made a completely new set of documents for him. We still called it the 2002 trust because his house was titled with the name of the 2002 trust. But it was a complete restatement of the trust, allowing Greg to name new trustees and decide on new beneficiaries. Greg said he would be sure, this time, to make copies of his documents for his successor trustees, executors and agents. I also urged Greg to follow my instructions on retitling his bank and brokerage accounts, which he had not done, either, since 2002. 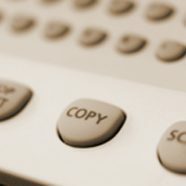 If you have made an estate plan—a trust and/or a Will—please make sure you have made back-up copies of everything for your successor trustees and executors. If you don’t, and you lose your originals or no one can find them after your death, it will be as if you hadn’t made an estate plan at all.